One way I thought I could help was by sharing any coupons or voucher codes that I find with the community. Whenever I find voucher codes, credit card deals, or coupons, that may be useful to low-income families I will post them on this blog. I sincerely hope you find it useful. keeping a pet can be very expensive but rewarding at the same time. If you are on a low income it can be hard to make ends meet especially if you have a dog. This is a fabulous offer from Texas Mills. Texas Mills is offering free samples of breakaway freeze-dried dog food. 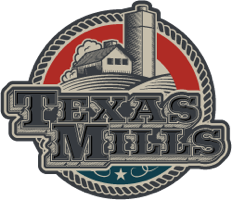 All you have to do to is register at the Texas Mills website and you will receive your samples within 4 to 6 weeks. Breakaway uses a single source freeze-dried raw kibble for better tolerances to protein allergies. There are no artificial flavours, it only contains natural fresh farm vegetables and meets which are manufactured in the United States of America. To register and find out more about this offer check out the following LINK which will take you to the Texas Mills website. This is a very popular offer so hurry, the offer is on a first come first served basis so register before the items run out. Feel free to share this offer with other pet owners who are on a low income. If you have missed this offer don't worry, I am always on the lookout for free samples to help low income families. I really hope your pet enjoys the offer.